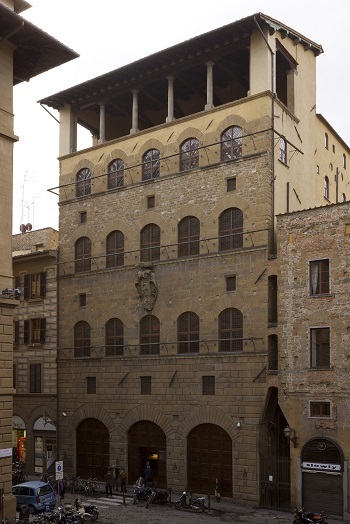 Instead of imagining how could appear the inside of a fourteenth-century house in Florence you can really live it. 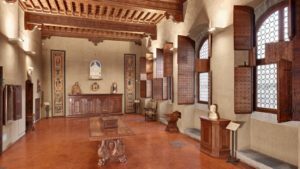 Palazzo Davanzati is an atypical museum because it does not expose works of art collected and exhibited, but reproduces the fourteenth century family environment by furniture and objects that recall the time and subsequent. I will get hardly describe the various rooms and the atmosphere they evoke, you can live it only visiting it, I will write like this jewel in the heart of Florence has come down to us mainly through Elia Volpi. Architecturally it has never been considered beautiful, in my opinion by error, for its graceful proportions do not, but if you consider it as the ring of a passage from the tower house at Renaissance houses will better understand its structure. It is no longer a tower, long, narrow house and even a low building medieval or Renaissance, but a middle ground between the two styles of construction. Palazzo Davanzati meets the will of elegant and modern living to the defensive needs of the tower houses, it was born a building with really amazing features. Davanzati palace is located in Via Porta Ross at No. 13 in Florence, overlooking the square. The realization of the building, in 1350, is the work of Davizzi family, merchants that are part of Art Calimala and was built on family land and tearing down of the tower houses in the locality. Sold in 1516 to the Bartolini family and then in 1578 to the Davanzati family. During this time the changes were made to the original structure both externally and internally. 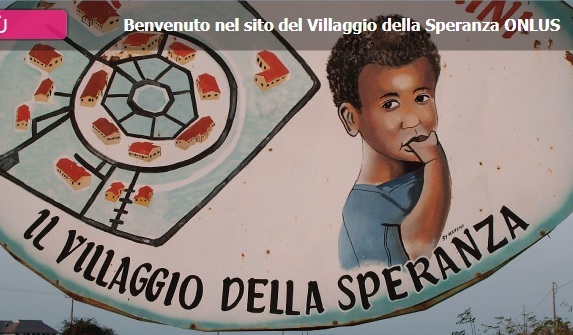 It was the buyer operates Bernardo Davanzati construction dell’altana, the loggia terrace on top of the building which was previously decorated with mere defense of typical tower houses. Davanzati was to put the huge coat of arms on the facade. The old porch today closed at the time was home to talk and trade as well as the defensive system from the attacks of other Florentine families. 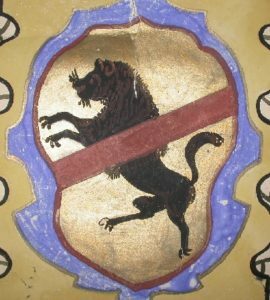 The palace remained the Davanzati family until 1838, in fact, in that year the last of the Davanzati, Charles, committed suicide. The palace underwent several internal changes, and various uses, such as apartments, home of the literary journal Leonardo, and various other uses including the shops occupying the atrium. The palace risked returning the demolition of the old market in the period of Florentine restoration that goes from 1865 to 1895, was saved and came into possession of Elia Volpi in 1904. 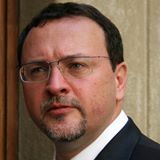 Elia Volpi deserves unanimous applause for coming on the palace not for mere business spirit but with the nature of the restorer, the curator of the past. About its restoration with the desire to return the building to its fourteenth configuration, not so much in the now unchangeable external structures, but for the internal structure and its decor. 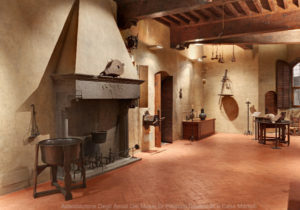 Thus it was born the Museum of the Old Florentine House, open to the public for the first time in 1910 and becoming a must for tourists and collectors worldwide. The museum has had three different furniture. The original was sold at a famous auction in New York in 1916, the palace was later decorated again in 1920 and the furniture sold again in 1924 to the antique dealers who then also bought the mansion in 1926 and finally sold in 1934 again . In 1951 the palace became the property of the Italian state who used it permanently in the museum “recruiting” furniture from other palaces and through private donations by a final re-opening in 1956. The museum was restored starting in 1990, the reopening of the first floor took place in 2005 and 2009 have also been made to visitors the second and third floors. There are many interesting things to see immersing himself in the first era home, the water collection system at its distribution over the entire height of the house by means of an artificial well, the kitchen located on the 4th floor (not open) to protect lords of bad odors and fire hazards, the defensive input system with the ability to hit from the invaders, the channeling of the toilets, a true innovation for its time, all without considering the beauty of the individual rooms and furnishings present. For those interested in a visit to remember that it can take place only on reservation at the number 0552388610. ← Palazzo Davanzati un salto indietro nel tempo.